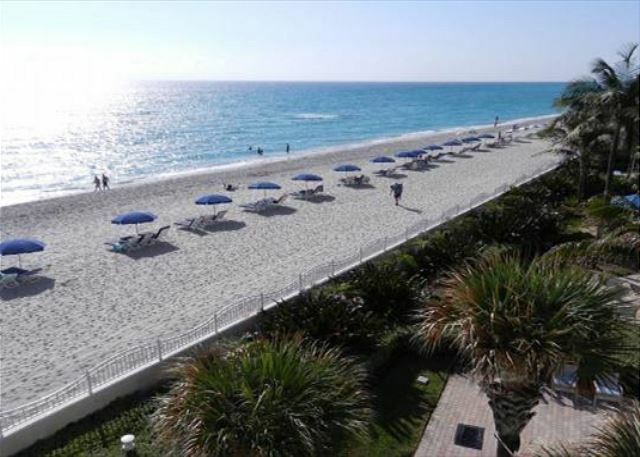 Enjoy breathtaking direct ocean views from your private terrace in this remodeled condo with hardwood floors, top of the line kitchen appliances, flat screen TV in living room and bedrooms. 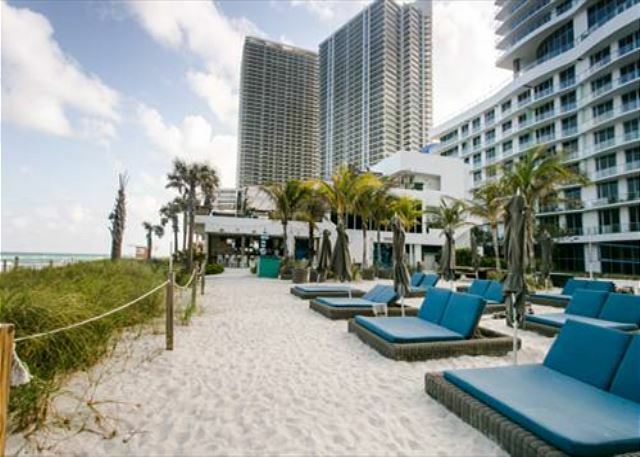 Here you will enjoy the exclusive residents' beach club and pool. And the unrivaled amenities and aesthetics afforded by the Sian Condominium. Stroll the beach, and then swim laps in the secluded heated pool, taking in the exotic landscaping and spectacular views of the ocean. 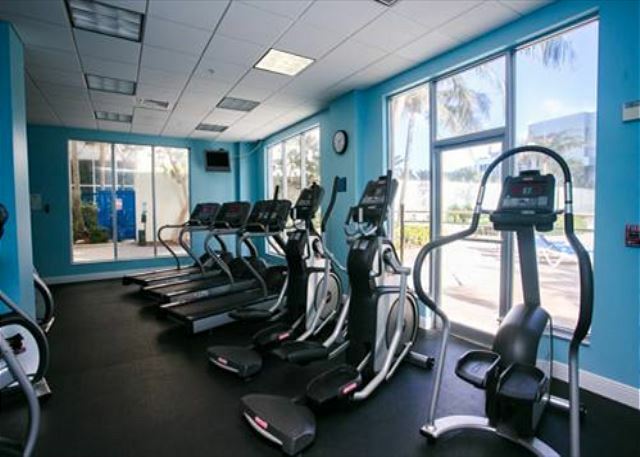 Or head for the state-of-the-art fitness center. Enjoy movies in the top of the art movie theater or relax in the sophisticated social and pool room. 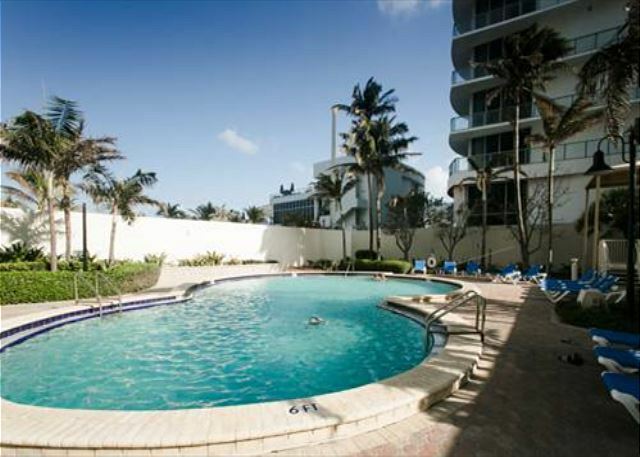 Close to the exciting Hollywood Beach boardwalk where you will find many outdoor cafes, restaurants and shops. There is live entertainment at the bandstand on the boardwalk on weekends. 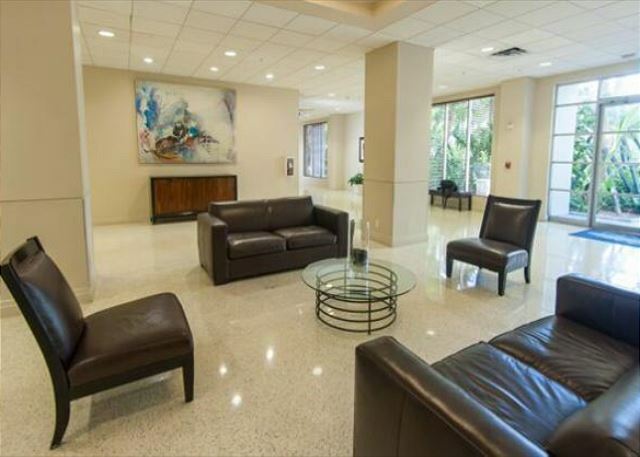 Just a 15 minute drive to South Beach, the Aventura Mall, Hard Rock Casino Entertainment Center, Gulf Stream Village shops and Horse Race Course and 30 minutes to the famed Sawgrass Mills and Dolphin Mall outlet stores. Neat and clean. 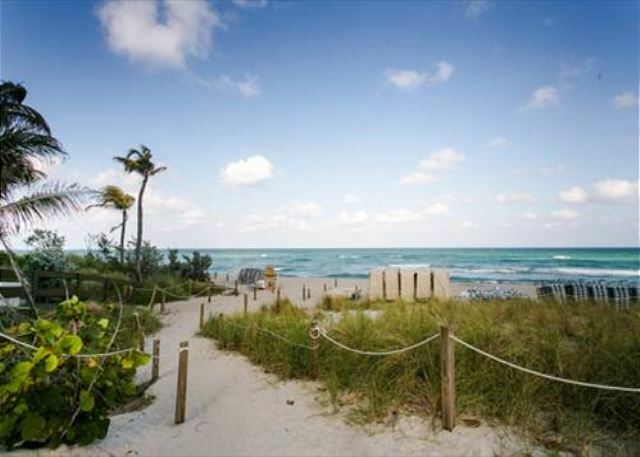 Great access to beach. Great view. My family and I checked in at the front desk and the people there could not been nicer to deal with during this process. Upon arrival, to the condo I was very impressed with the cleanliness of the place. Well kept and tidy. The place is very minimalistic in terms of decorating but it has everything you need. Overall great time and it is just as advertised! Nice condo. Very clean. Everything you need is included. We've enjoyed the view from the balcony.The vacation rental management was nice and helpful. The only desapointment is the beach chairs.The pictures show nice beach chairs, but they belong to the hotel next door. Next to those chairs,directly on the beach there's more chairs and beach umbrellas but they also belong the the hotel. Yes you can rent them, but for 30$/day for one chair + umbrella. There were some small chairs in the condo that we could use but be carefull: they are rusty and will ruin your swimsuit. 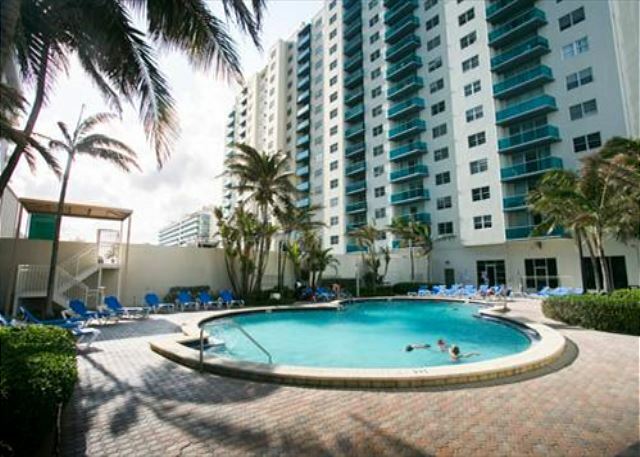 Besides that, I recommand this condo! The rental is just as described! It's on the beach with beautiful views. 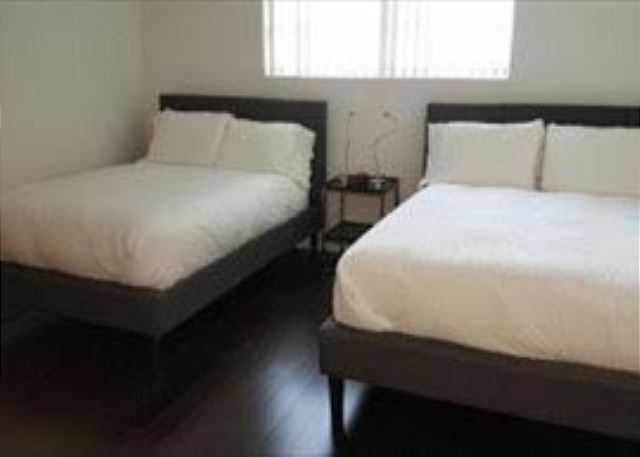 The apartment is big with lots of space and the beds were really comfortable. We also really enjoyed the showers with the rainfall shower heads. Thank you Ben for everything.